Some insulation companies in the Pensacola area of Florida may install the cheapest materials they can find, regardless of quality. But at 31-W Insulation, we don’t cut corners on quality because we know our customers deserve better. As a family-owned and -operated company since 1972, we understand our customers’ needs as families and homeowners, so we have high standards for customer satisfaction, expert workmanship, and, of course, top-rate insulation materials. And, since our installation crew is made up of only our own trusted employees, never subcontractors, we are able to ensure that they uphold those high standards on every project. 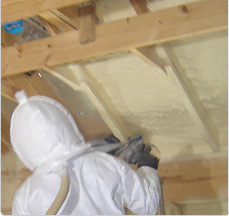 Few other insulation companies offer the thorough, yet efficient, installation services that we do. We can complete most projects in as little as one day, meaning you’ll be able to enjoy the full benefits of a well-insulated home in no time. New insulation can ease the burden on your HVAC system for maintaining a comfortable indoor temperature, which may help you save on your energy bill. And, by clearing out moldy or rotten old insulation, you may see an improvement in the air quality inside your home. If you’re interested in learning more about why we are one of the best insulation companies in the Pensacola, Florida, area, contact 31-W Insulation today.